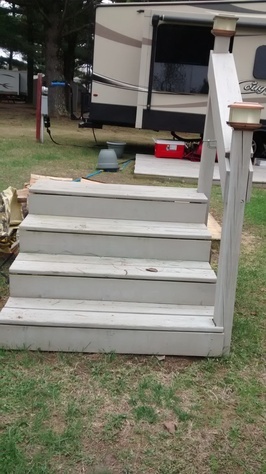 Steps with rail. Used with a 5th wheel. All wood. Overall, 74 inches tall, 46 inches deep, 48 inches wide, top step is 28 1/2 inches from ground..